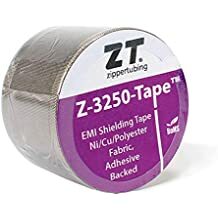 Prt S - Emi Shielding Heat Shrink - Heat Shrink - Products - ZT | Zippertubing Co.
PRT® (S-3250) is an EMI Shielded heat shrinkable wrap that provides a convenient wrap-around method of adding secondary insulation and EMI hardening to in-service electrical systems. The wrap around feature allows the material to be installed without the need to remove or disassemble the associated connectors and end hardware. 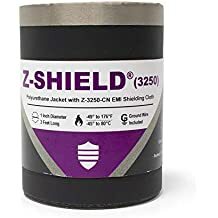 PRT® (S-3250) wrap combines the advantages of high performance (SAE-AMSDTL23053/5A) heat-shrinkable tubing with the proven performance of Z-3250-CN conductive shield.